This past weekend I had the pleasure of visiting the Genealogy Center at the Allen County Public Library in Ft. Wayne, Indiana (http://www.genealogycenter.org/Home.aspx). This library has one of the largest genealogical collections available in the United States with materials from around the world. If you visit, be sure to plan ahead so you can maximize your time. I found the library’s orientation video (http://www.genealogycenter.org/Services/Orientation.aspx) very helpful. It discusses the various rooms where the materials are housed, resources at the Ask Desks, computer and copier usage procedures, search techniques, microfilm and microfiche usage and more. 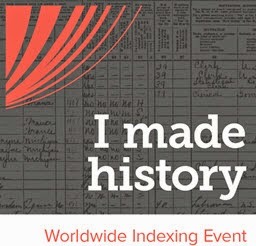 In further preparation for my trip, I used the excellent search engine available at the top right of their home page (http://www.genealogycenter.org/Home.aspx) and printed out a list of the resources I wanted to explore. a list of genealogy websites. I obtained a copy card from one of the librarians. These cards can be loaded with money at one of the machines within the center. Photocopies were only 10 cents each, and the copiers worked perfectly—not one jam. The toner ran out once, but a library staff worker replaced it quickly. There are a number of hotels near the library, but I happened to choose the Hilton. On Saturday I awoke bright and early and was at the library at 9 a.m. ready to roll. My first stop was the county history section. I started with my New York counties: Oneida, Madison and Chenango. As the day progressed I ventured into other states: Windham County, Vermont; Perry County, Tennessee; Prince George’s County, Maryland. In addition to county histories, there were cemetery records, marriage licenses, land records, wills, pictorial histories, court dockets, obituaries, birth records, funeral home records and more. Of course, no eating and drinking is allowed in the library. I dashed down to the café on the first floor and inhaled a sandwich. I was delighted to learn that the library was open until 6 p.m. on Saturday and I stayed to the very end. After dinner, I went back to my hotel and planned my search strategy for the next day. The library opens at noon on Sunday and, of course, I was right there at high noon. This time I decided to start with the surname books. I was pleased to find many books on Brashear and Stovall. I steered clear of books on my common surnames,Williams and Taylor. Next I visited the Ontario, Canada section and checked out the books hoping for some guidance on my Stewart line. As the clock ticked, I headed for the City Directories section. Here I inspected every year they had for Utica, New York. And that was it. I ran out of time. I never even made it to their computers or microform records. The good news is this wonderful library is only three hours from my home, so I will be back! One last point: Even if you can’t get to the library, be sure to explore the search engine on their website. There are links to many books that are available online from the comfort of your home. For example, I found links to online books on three of my surnames: Parks, Marsh and Turner. In the upcoming weeks I will blog about my specific discoveries at the Allen County Public Library. Dover Publications, Inc., Mineloa, New York, Electronic Clip Art, 150 Silhouette Designs, 2006. Karin, like you, I found the clocks tick quicker on those last few hours. There is never enough time when it comes to this wonderful library!